The Harloff Medstor Max Triple Column Medical Storage Cart with Tambour Door is the most innovative modular tray system in the market today, providing a hassle-free and quick access to medical supplies for various surgical procedures. This includes Arthroscopy, Cardiology, Catheterization, Cystoscopy, Endovascular Labs, ENT, Interventional Radiology, Laparoscopy, Opthalmology, Orthopedic, Neurology, Urology, and Vascular. Awesome Design. 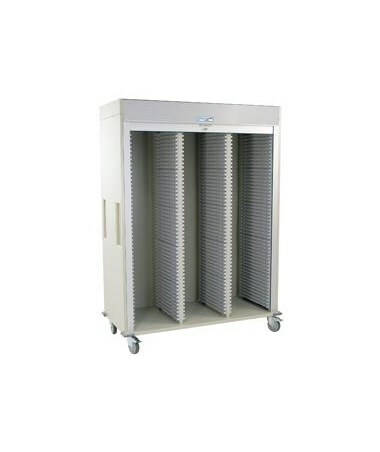 With 30% more storage capacity than any other cart in the market today, the Medstor Max Triple Column Medical Storage Cart with Tambour Door allows the facility to purchase fewer carts without losing workplace efficiency. It is constructed with high-quality and durable materials with multiple configurations that use modular trays and wired baskets. Each column has 47 insertion opportunities for optimal customization potential. The cart has a roll-up tambour door and is secured with a key lock. It is mounted on 5" premium, full-swivel casters, with two braking, for quick and hassle-free movement around the facility. It also has corner bumpers that protect the cart from unwanted collisions. Great Organization. 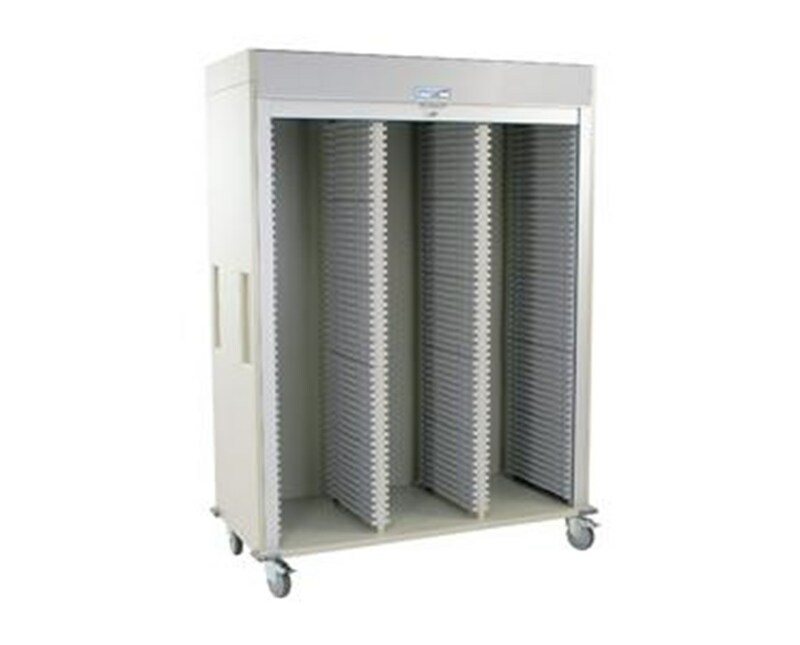 The Harloff Medstor Max Triple Column Medical Storage Cart with Tambour Door features a clip-on locking adjustable dividers that provide trays great supply organization and can handle higher loads than any other cart in the market today. The cart allows one of the columns to be removed to increase catheter storage capacity and can have full-width shelves installed. With its uniquely designed plastic side panels and pull-out stoppers, the modular trays can be viewed at an angle without falling out of the cart.